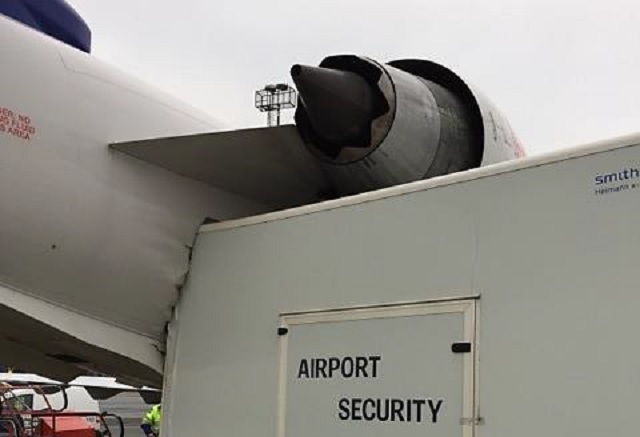 The CRJ900 suffered substantial damage at Copenhagen after the trailer – a mobile x-ray unit – collided with the aircraft beneath its starboard engine and wedged in the aft fuselage. Passengers had been boarding the aircraft at stand A17, adjacent to the airport’s southern service road. 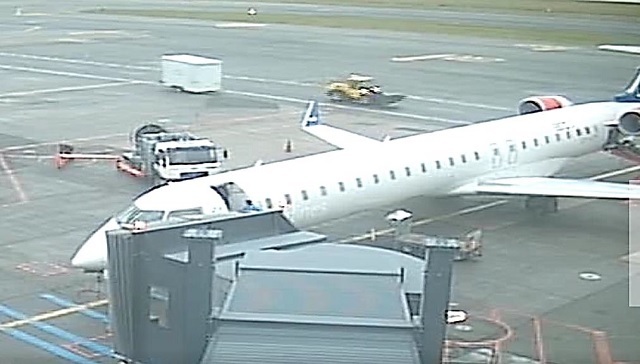 The x-ray unit had to be transported from the east side of the airport to the west, but the tractor initially intended for the task had a gear problem. Danish investigation authority HCL says the driver opted to use a second tractor, parked next to the first. But it states that, although the driver had checked the first tractor, a lack of space meant he “did not inspect” the trailer hitch, hitch-pin or the availability of the locking ring of the second. Nor did he install a safety wire for the trailer’s braking system when he attached the trailer to the tractor. HCL says the tractor was travelling at around 40km/h – the speed limit – and passing stand A14, some 100m east of the CRJ900, when its driver noticed a bump on the road. This bump probably forced the hitch-pin upwards and caused the trailer to detach. Surveillance cameras at the airport captured the moment of separation.